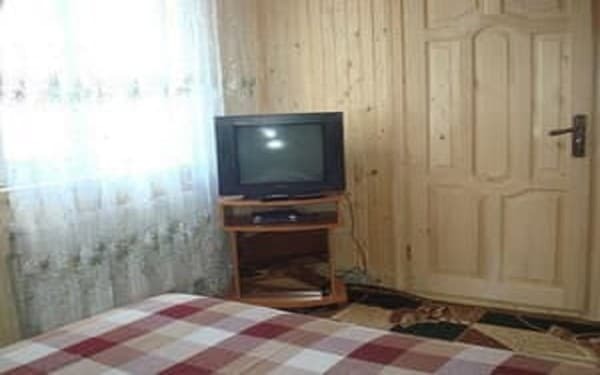 The Boykovskaya Hata Hotel is located in the village of Migovo at the foot of the Carpathian Mountains. 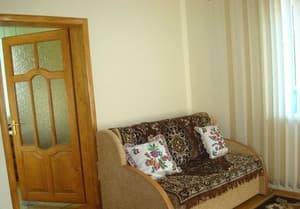 Guests are offered accommodation in the private sector, in any of the three cottages. 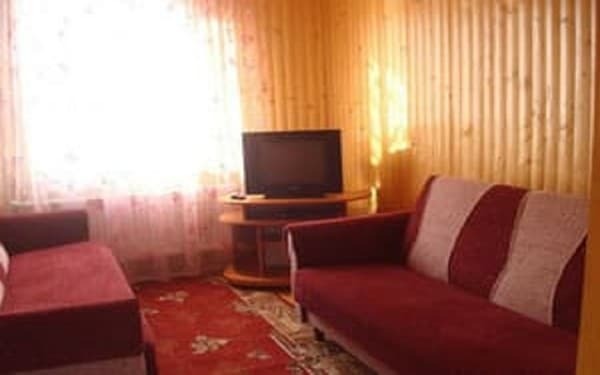 The first and second cottages are three-room (in each room there are 2 double sofas, a wardrobe and a TV set); there is a separate kitchen equipped with everything necessary; autonomous or furnace heating; a bathroom and an additional toilet on the street. A feature of the first cottage is its performance in a classic, modern style, while Cottage No.2 is made in wood. The third cottage is two-storey, also made in wood. On the first floor there are: a bathroom with a shower and separate two showers, a sauna, a recreation room and a billiard room. 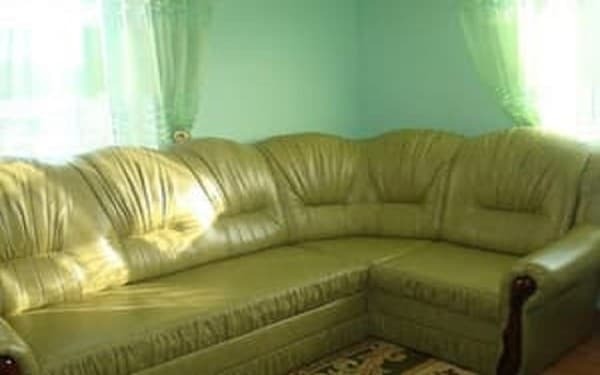 On the second floor: 3 separate rooms (two of them have 2 double sofas, and the third one has a large bed, each room has a wardrobe and a TV set); corridor, in which a clothes hanger and a bedside table for shoes; there is a kitchen with everything you need. There is a gazebo, a brazier and a parking lot for guests. In winter, guests can spend time on the slopes. If you want, you can soak in the sauna or play billiards. 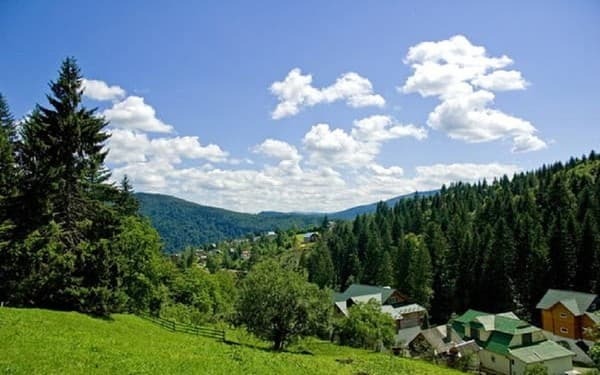 In summer and autumn, the owners of the hotel "Boykovskaya Hata" organize fascinating hikes in the mountains, picking berries and mushrooms, fishing, bathing, guarantee fresh air and a pleasant atmosphere. 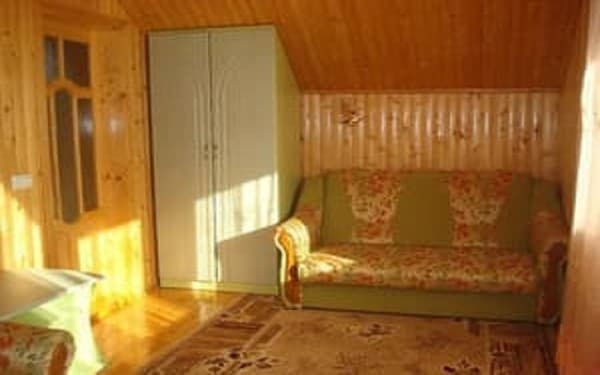 To the nearest ski lift is 5 km, to the river - 100 m.
Description of the room: The cottage is a two-storey building with all amenities for 6 people, decorated in a wooden style. On the first floor there are: a sauna, two showers, a bathroom with a shower, a recreation room, a billiard room. There is a kitchen with everything you need. On the second floor there are 3 separate double rooms. Each room has a TV and a wardrobe. Description of the room: One-storey, three-room cottage for 12 people, is made in wooden style. There is a kitchen equipped with everything you need, a dining table with chairs. Each room has two sofa beds, a wardrobe and a TV. 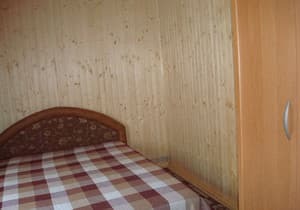 Description of the room: One-storey, three-room cottage with a corridor, in which a wardrobe for shoes and clothes; with all conviniences; 5 sofas and 1 folding chair. 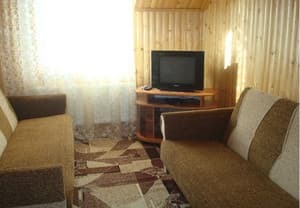 There is a kitchen equipped with everything necessary; two TVs, satellite TV on each TV. Accommodation of children without extra bed is free of charge. There is a kitchen for self cooking. For groups there is an opportunity to organize celebratory banquets. Cafe, restaurant - 6 km. Nearest ski lifts - 5 km; river - 100 m; cafe, restaurant - 6 km. Chernivtsi - 56 km, Vyzhnytsya - 30 km. By train or bus to the city of Chernivtsi, then with the AS-1 minibus to the village. Migovo (daily for the schedule). By car: the route Chernivtsi - Vyzhnytsya - Verkhovyna (R-62), in the village of Beregomet turn after the tourist complex "Migovo"